What Is This Strange Object Photographed On The Surface Of Mars? A new image from the surface of Mars has made the rounds on social media over the weekend, sparking hopes in some quarters that an alien life form may finally have been photographed amid the rock-strewn wastes of the red planet. The object in question was photographed by NASA’s Curiosity rover, according to the Huffington Post, situated in front of what appears to be a cave on the surface of Mars. At first glance, the object appears to resemble nothing quite so much as a crab-like monster straight out of science fiction. As so often happens with images beamed back from Mars, the photo was seized upon by UFO watchers, who asserted that an extraterrestrial life form had finally been captured for all the world to see. Fears of alien crab monsters notwithstanding, the object is nothing more than a stone formation, and hardly the first to make a splash in UFO circles. According to Seth Shostak, Senior Astronomer and Director of the Center for SETI Research, images from the Mars rovers make their way to his desk roughly once a week, submitted to him by observers certain that they have identified alien life. The phenomenon responsible for these sightings is called pareidolia, and it is experienced daily here on Earth by multitudes of people. Pareidolia allows our brains to identify shapes in seemingly random objects, and while it facilitates our ability to see things in the clouds above our heads, it also affects our views of the surface of Mars. 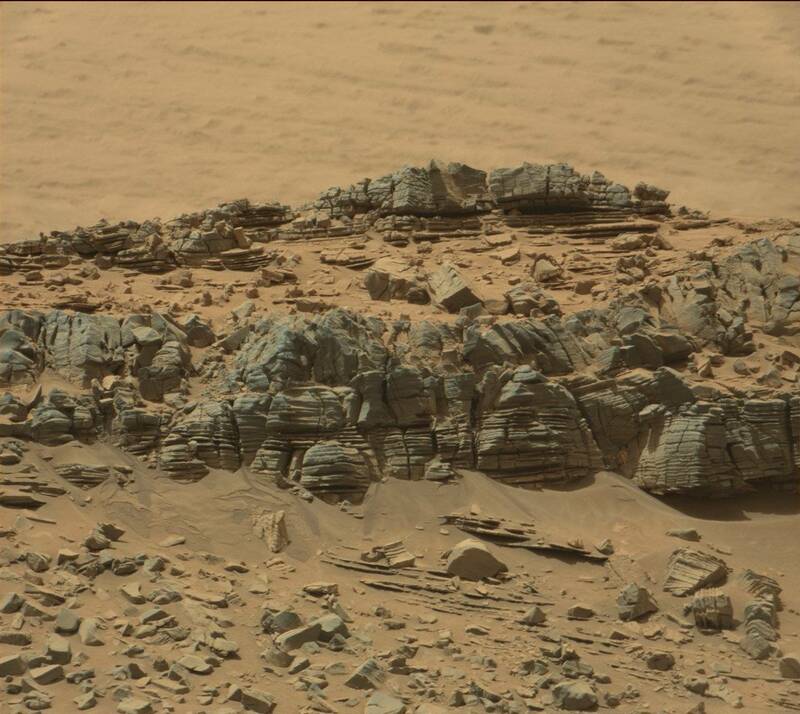 Earlier this year, observers took note of an oddly shaped rock photographed on Mars. As the Inquisitr previously reported, it appeared to be a pyramid, convincing some viewers that it denoted part of an intelligently fashioned structure buried under the sands of Mars. Other objects have been spotted on the surface of Mars recently, including a “levitating sphere,” as RT reports. Earlier in July, the Curiosity rover photographed another strange rock, which may actually reveal organic matter, according to NASA, making it one of the most genuinely fascinating objects on the surface of Mars.